Jonathan Evans is a professional pilot and veteran. 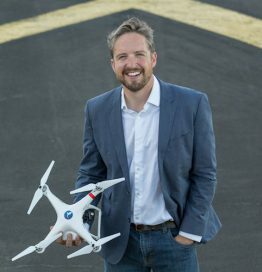 Co-Founder and CEO at Skyward providing critical operations management software for professional drone operators around the world. Founding board member and board president of the Global UTM Association, publishing the open, technocratic blueprint for interoperability of networked aerial robotics in national airspace systems.